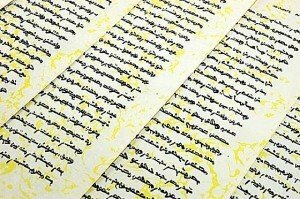 Skilful means and no Sutras? Zen holds a special place in the heart and mind for many, perhaps because it is “seemingly” singular in its simplicity and elegance. From single-pointed zazen mindfulness — facing a blank wall — to mysterious cyphers called Koans — “What is the sound of one hand clapping?” — Zen pursues the same Bodhisattva goal as other Mahayana Buddhists, with a distinctly focused method. That focus might be breath, art, caligraphy, archery, or riddles (koans) — but it’s all about focusing singularly. 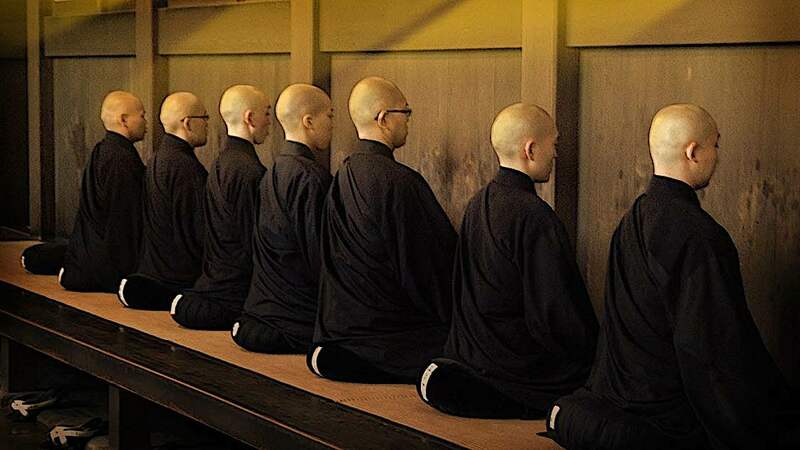 Zazen, silent sitting meditation — clasically, facing a blank wall — is, to some people synonymous with Zen. Zen is a style of Buddhism most commonly practised in and associated with Japan, although originating from India, then transmitted to China via the monk Bodhidharma as Ch’an. 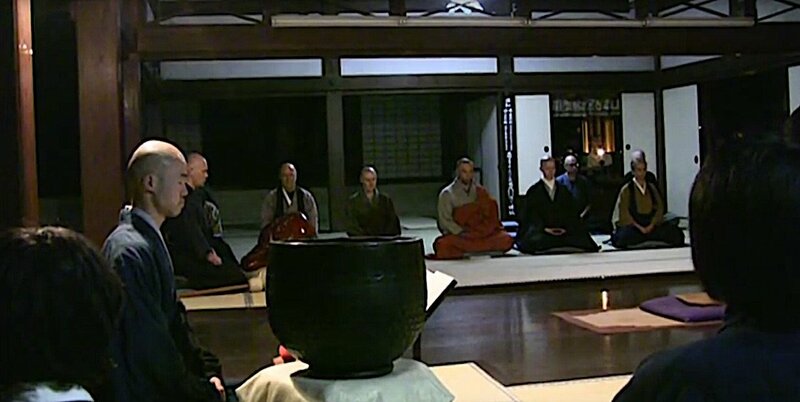 Although this article are my thoughts on the Zen Buddhist tradition from the perspective of a Western Buddhist who practices Zen, I try to cite sources for all of my points. 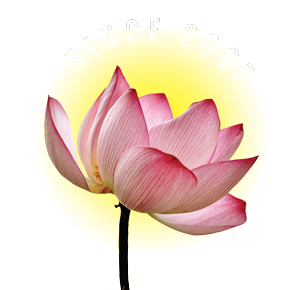 I will focus on its unique methods; I don’t want to call them differences, because both its focus on single-pointed meditation and its emphasis on Buddha Nature are equally important to all Mahayana Buddhists. 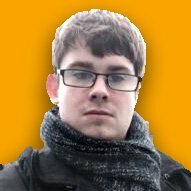 Let’s call them unique methods. Let’s face it — Zen is mysterious. Ask a Zen master to define Zen and he or she would likely say nothing. The point is made. Zen is about “figuring it out on your own” — although only after some instruction and foundation in the sutras. The Zen master might pose an “unsolvable riddle” or puzzling phrase — the famous Koans — or instruct you to face a blank wall and focus on your breath and nothing else — with an occasional whack with a stick to wake you up. Discipline plays a vital role in Zen. Zen retreats are famous for their silence. There might be instruction, but practice is a solitary method (at least most of the time), and even meal times are a disciplined ritual. Discipline and ritual plays a role, but mostly in the sense of simplifying and codifying actions. Mystery is a good, general description of Zen. 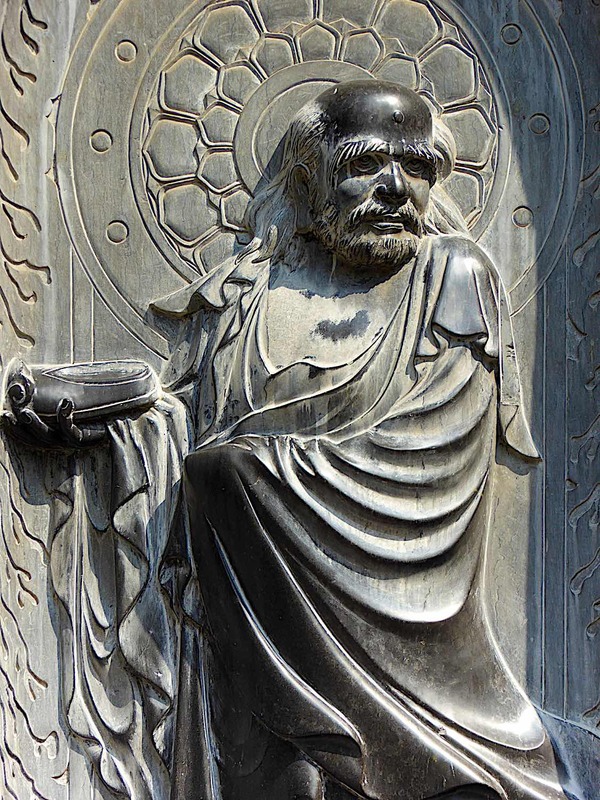 Bodhidharma’s definition sums up the Zen perspective perfectly. Zen, like all other schools of Buddhism seeks the attainment of enlightenment and liberation from the cycle of birth, death and rebirth. 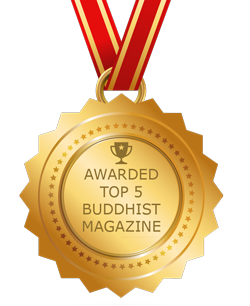 It also though, seeks the recognition that each individual is a potential Buddha, recognizing our ineherent Buddha nature common to all sentient beings. Like other Mahayana schools, it is a primary doctrine in Zen. Human beings can’t learn this truth by philosophising or rational thought, nor by studying scriptures, taking part in worship rites and rituals or many of the other things that people think religious people do. The first step is to control our minds through meditation…to give up logical thinking and avoid getting trapped in a spider’s web of words. 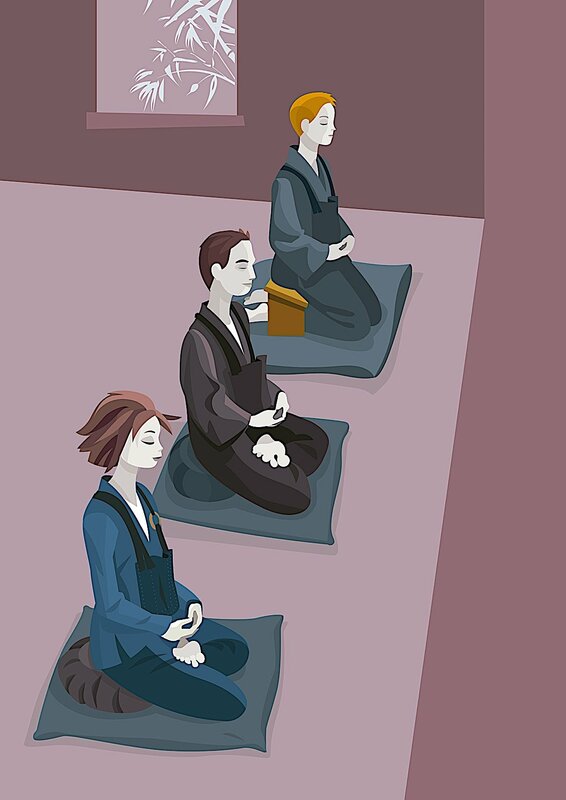 Sutra recitation is an important mindfulness meditation technique. More importantly, sutras are the very words of the Buddha. “When Buddha was in Grdhrakuta mountain he turned a flower in his fingers and held it before his listeners. Everyone was silent, only Maha-Kashapa smiled at this revelation, although he tried to control the lines of his face”. All Buddhists paths — including Tantrics and Theravadin — teach methods for self-insight, ultimately leaving to the goal of Enlightenment. Buddha Himself sat under the Bodhi tree and went deep into his own mind to achieve Enlightenment. In this, Zen is not unique. It is unique mostly in emphasis and method. 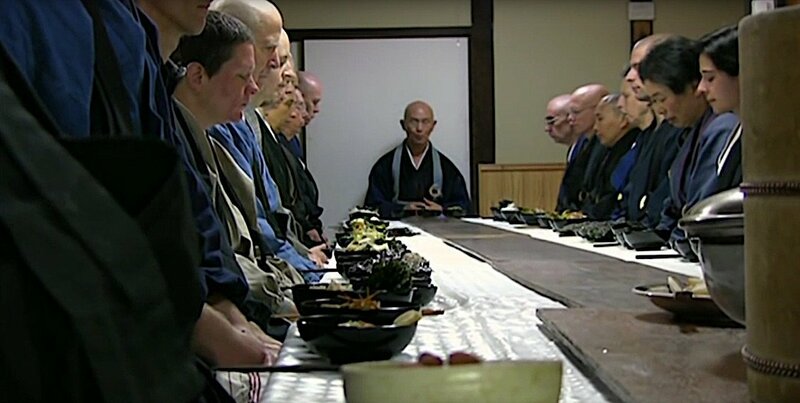 Even meals are ritualized with single-pointed focus on the activity in Zen temples. This does not mean that we are being selfish. The Mahayana goal is to attain Enlightenment for the benefit of all sentient beings. But, the Buddha’s teaching clearly emphasizes the Zen position of ultimately going “outside scriptures” To use a school metaphor, Sutras are the metaphorical “course textbook”— and our professor is our guide — but, we still have to study, learn and develop insight on our own. A singularly unique feature of the Zen tradition is the use of what looks like strange and illogical riddles — known as Koans. These are more associated with the Rinzi school of Zen but find their place in other schools too, especially in the modern age where traditions tend to mix. Trying to examine them with reason and logic will not lead you anywhere — which is the point, in a way. Rather, you have to let go of all pre-conceived notions in order to understand what the Koans are saying. If this is taken literally, this koan, attributed to Zen master Linji Yixuan, can seem incredibly shocking. That is also the point. Shock and confusion and puzzles are used to “shake up our rational mind” and inspire the creative, conceptual mind. 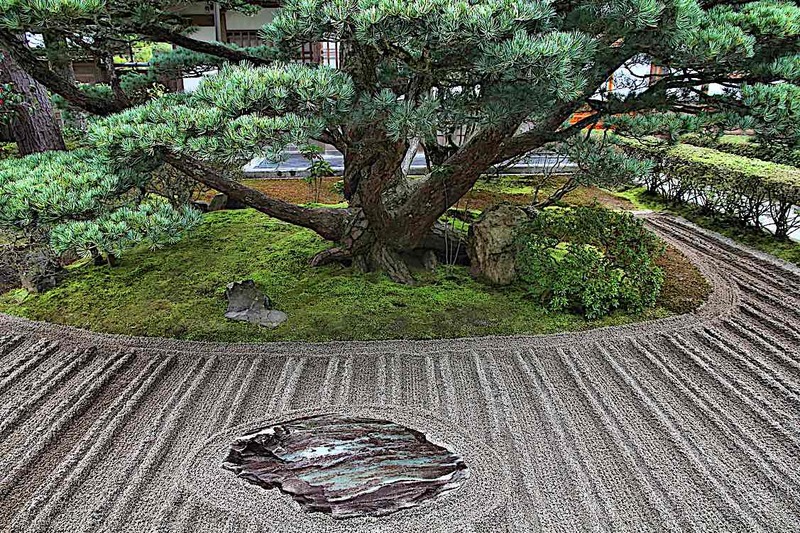 Zen gardening is, like all Zen activities, highly focused, disciplined and elegantly simple. What does it mean, this crazy riddle that seems to tell us to kill the very person who founded Buddhism? When taken in this context, it can be seen clearly that the Koan is talking about Buddha Nature and can be seen as incredibly profound and even liberating when its true meaning is realised. Toyo returned to his room to try and consider the problem and he returned to Mokurai with many suggestions of what the sound could be, from Geisha music, dripping water and the sound of an owl. It is then written “at last little Toyo entered true mediation and transcended all sounds. ‘I could collect no more’, he explained later ‘so I reached the soundless sound’ – Toyo had realised the sound of one hand. To find the sound of one hand, Toyo had to rise above normal rationalisation because as we saw, this didn’t bring the answer. It’s only when he ‘let himself go’ in meditation that he finally found the answer. Koan after koan explores the theme of nonduality. Hakuin’s well-known koan, “Two hands clap and there is a sound, what is the sound of one hand?” is clearly about two and one. The koan asks, you know what duality is, now what is nonduality? In “What is your original face before your mother and father were born?” the phrase “father and mother” alludes to duality. This is obvious to someone versed in the Chinese tradition, where so much philosophical thought is presented in the imagery of paired opposites. The phrase “your original face” alludes to the original nonduality. One of my favourite things about reading Koans is the little ‘lightbulb moment’ that you get in your mind when you finally gain some insight. 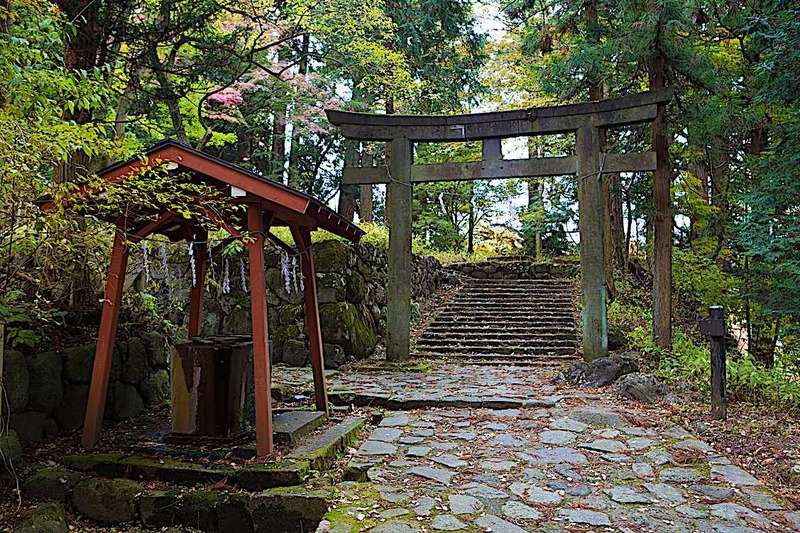 One of the main schools of Zen, Rinzai teaches that you can gain realizations instantly, for a very brief period, known as Satori – it isn’t true and final enlightenment but a brief look at what it’s like. As a Zen website states, Koans are made to “trigger enlightenment” and “designed to force and shock the mind into awareness.” Satori are the big lightbulb moments? 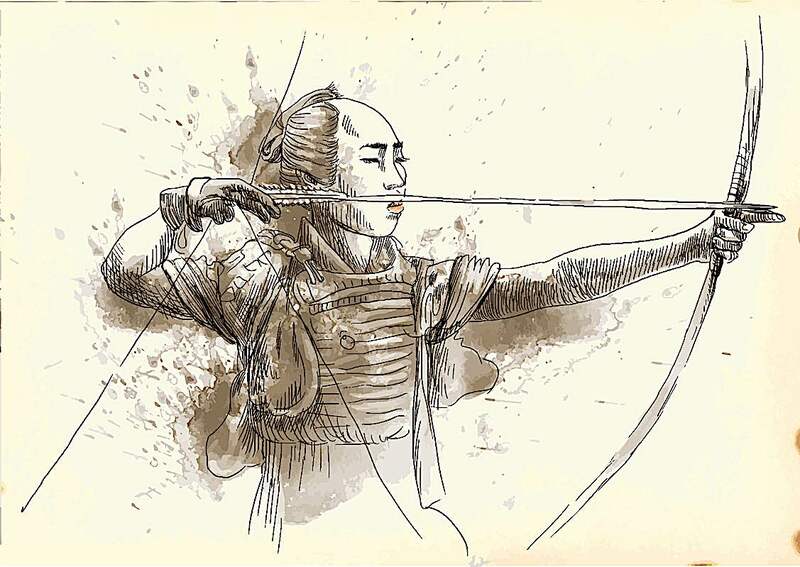 Zen archery is another famously disciplined ritualistic activity. “Buddhism taught a warrior not to fear death, as he would be reincarnated in the next life. Zen helped a warrior to ‘empty his mind’ and maintain clarity in battle’. Temple in Japan. Beauty, simplicity and focus are always themes in Japanese temples. Zen Buddhism had a major cultural impact on Japan. 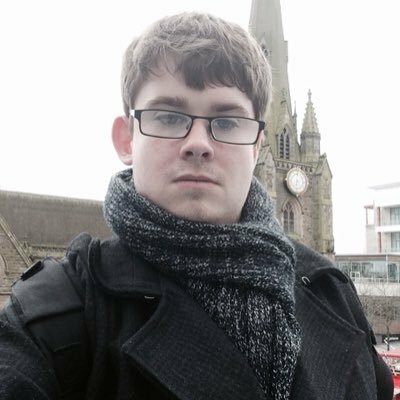 As part of this, it also had a big impact on Japanese literature which can particularly be seen in the form of some Haiku. Haikus are a form of Japanese poetry, now known around the globe for their brevity (traditionally composed of three lines of 5, 7 and then 5 syllables) and their ability to intensely capture a single moment in verse. While they are not specifically ‘Buddhist poetry’ or even ‘Zen poetry’, many of the most famous Haiku masters were Buddhists and many of the poems, which are in many cases about the beauty of nature do have a ‘Zen feel’ and many are about Zen outright. Another Buddhist Haiku was a death poem – normally the last statement of a poet – by Gozan just before he died at the age of 71. In my opinion, this represents the cycle of Samsara, an opinion also shared by John Asano but as it says, the snow turned to water and melted (death) and then when it’s cold, the water will eventually become snow once again – a perfect representation of rebirth! 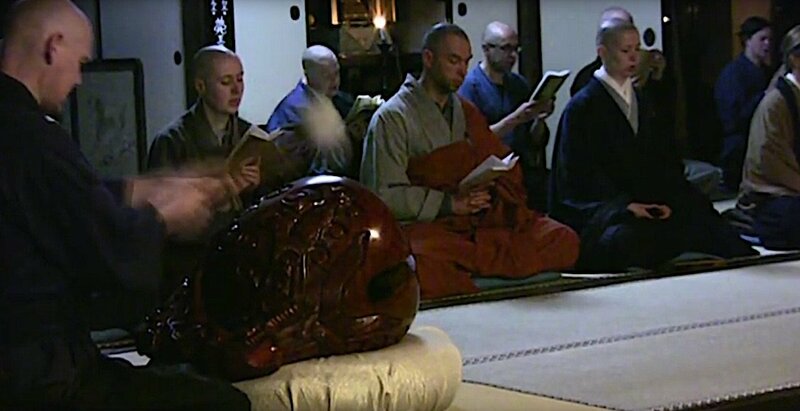 Many western students go to Japan to study Zen. Others are fortunate to find Zen teachers in the west. Zen is popular in the West due to its simple but profound spiritual methods; they seem less “restrictive” than more rigid religions in the eyes of many. Like other forms of Buddhism, it doesn’t require a belief in a God or a higher power. I think Zen is a profound method — that ultimately could lead to profound truth. Sometimes sitting down to meditate and taking a deep breath is all that we need to reveal the essence of the Buddhist path. As Buddhists, we must remember from time to time, no matter what tradition we follow to “empty our cups”.